Listen Up! The biggest Barber bash North of Hartford is coming our way this spring! 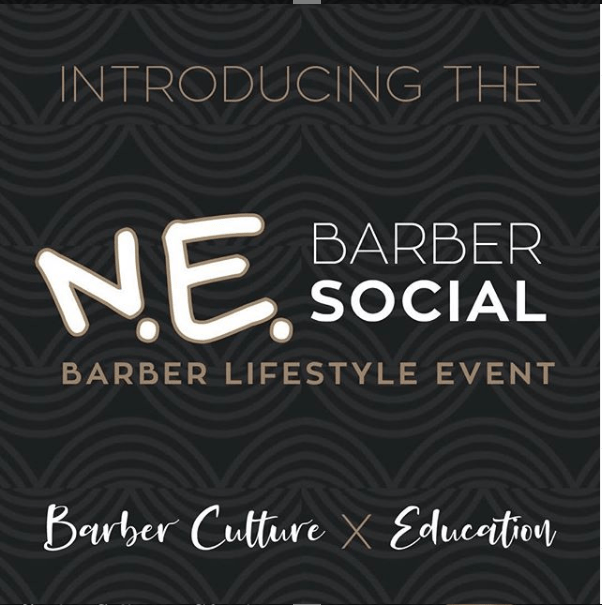 Our very own Tyler Sullivan chats it up once again with Jake (@jake_cuts_fresh) on the #Barberlife podcast to share the buzz spreading on the New England Barber Social arriving in Manchester, NH on Sunday April 28th. Sullivan Beauty is excited to unveil a new concept for professional barbering education. There aren’t many avenues Barbers can go down to explore everything their industry has to offer. The CT Barber Expo in Connecticut, and IBS and Barbercon in NYC are our closet options to immerse ourselves in the latest and greatest of all things men’s cutting and styling. We felt a void in the Barber stratosphere where we knew we could deliver the heartbeat behind the barber culture. What do Barbers like? Art. Music. Fashion. And a good time! By meshing together all cultural aspects the Barber industry loves and finds inspiration from, we landed at the New England Barber Social. This isn’t your average expo. This is an intimate, laid back setting where you can compete, get educated, or participate in a Hair Jam… Shop some art, cool new gear, or premium barber tools amongst vendor booths… Get a free tattoo, gourmet grub, and a craft cocktail… Or just enjoy the beats and snag some free vendor swag while watching big name barbers chop some hair up on the main stage…There’s something for everyone! Whether you come for networking, competition, inspiration, or education, you can expect a good time in an awesome format that’s as fun to hang at as it is beneficial to your craft! Visit our homepage at www.nebarbersocial.com to buy your tickets ($30) or sign up to compete in 1 of our 2 competitions ($50) or enter to jam out with our 9 Featured Artists on stage during our Hair Jam! This entry was posted by Sullivan Beauty in Culture, Education Event, News. ← Welcome your spring & summer clientele with an energizing tune up for your business with Paul DiGrigoli!